Need a new topping for your oatmeal, waffles, pancakes, or yogurt? 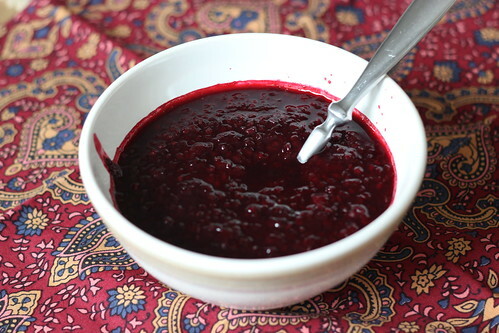 Try wojapi, a Native American berry dish that is eaten as a pudding or sauce. 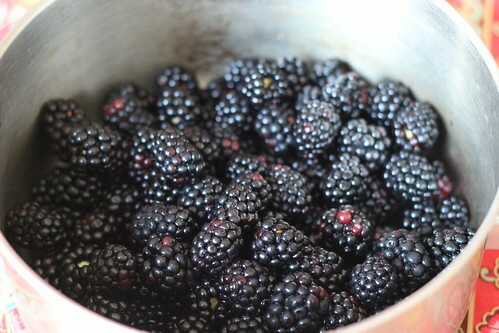 My version contains fresh blackberries and honey, and is a healthy and versatile alternative to syrup. I first tasted wojapi last summer, when Mr. Spice and I were visiting my sister in Washington, DC. We were hitting up some museums and visited the National Museum of the American Indian, part of the Smithsonian Institute. If you’ve never been, you really should go! We were all getting a bit hungry, so my sister suggested we eat at the museum cafe, which features Native American food from different regions of the Americas. I don’t remember everything we ate, but I do remember the blueberry wojapi sauce that was served with our Navajo fry bread. It was thick, sweet, and the perfect partner to the bread. A few weeks ago, I was flipping through some cookbooks for fun, and pulled out the cookbook I bought at the museum gift store, which was chock-full of Native American dishes. I was then reminded of the wojapi and thought it would be a fun and easy dish to try and very summer appropriate as well, since berries are in season. I searched around for some recipes and found different versions, each calling for varying amounts of berries, water, and sweetener, some calling for flour and cornstarch to make the wojapi more pudding-like in texture. The one I ended up using just called for berries, water, and honey — simplicity at its best. 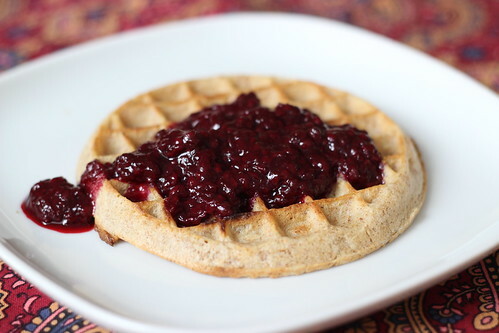 I was originally going to make blueberry wojapi, but for some reason, both Publix and Costco were out of blueberries yesterday, so I used blackberries instead. Either way, you can play around with the type of berry and sweetener you prefer. 1. 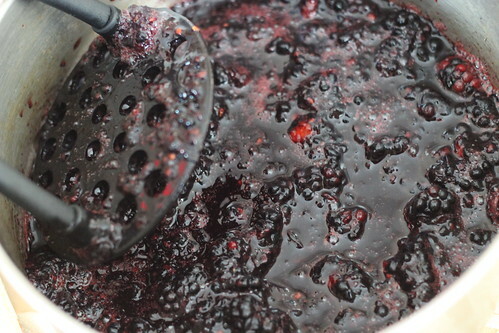 Place rinsed blackberries in a medium-sized saucepan. Using a potato masher or heavy spoon, mash berries, leaving identifiable chunks. 2. Add water to pan and bring mixture to boil, then turn heat down to low and simmer for an hour, stirring every 15 minutes or so. 3. Once mixture has simmered, add honey and sugar as needed for desired sweetness. I find blackberries are more on the tart side, so I added some sugar in addition to the honey. 4. Serve hot or at room temperature. Can be served with oatmeal, pancakes, waffles, yogurt, ice cream, biscuits, and of course, fry bread! this is something I would love to try, and blueberry would be my choice! Previous post: *CLOSED* Bob’s Red Mill Spar for the Spurtle Contest + Giveaway!